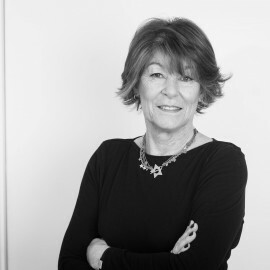 Sue Prideaux is Anglo-Norwegian. 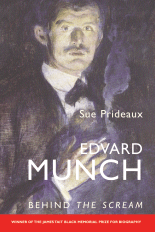 Her first biography, Edvard Munch: Behind the Scream (Yale UP) won the James Tait Black prize. 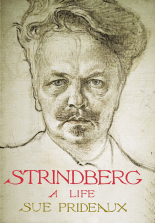 Strindberg, a Life, shortlisted for the Samuel Johnson prize, won the Duff Cooper. She has written for the TLS, The Economist, The Art Newspaper, The Spectator and spoken at many museums including Tate Modern, The Royal Academy and MOMA. She acted as consultant for Sotheby’s on their record-breaking $119,000,000 sale of The Scream, and as consultant and dramaturge on plays by Strindberg and Ibsen. I Am Dynamite! 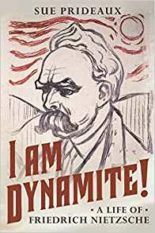 : A Life of Friedrich Nietzsche was published in 2018 by Faber in the UK and Crown Books in the US.